Rachel Birch-Lawson and Khyle Eccles have been a couple for 10 years. Unassailable Us is their anniversary gift to each other. Despite the fact that they both felt there was no way they could make a show about being together, they found that that was exactly what they seemed to be doing. And along the way they’ve realised that the story isn’t just theirs – it belongs to anyone who has been in a long-term relationship that has flourished, struggled; changed and grown. So here it is. 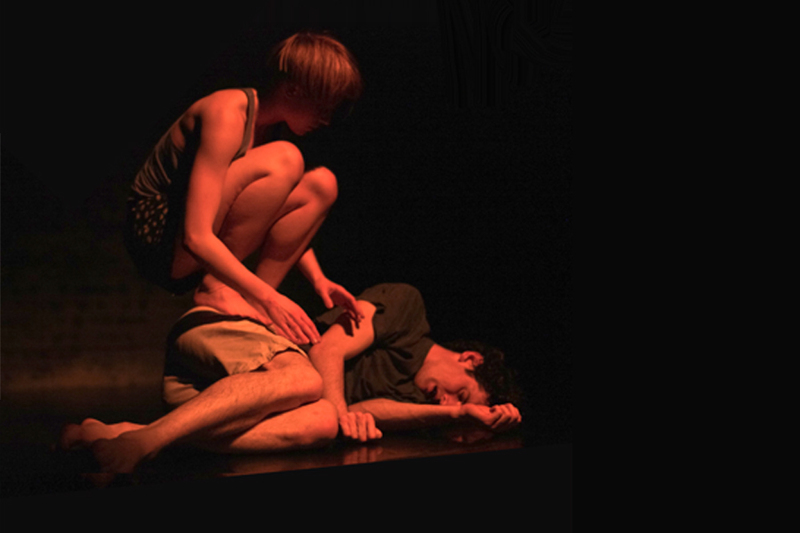 Unassailable Us is a performance duet about love, play, vulnerability, need, gender, expectation, effort and support. It’s a small flag in the sand for them, knowing as they do that the waves will be back to change and challenge; and a poignant experience for the audience – as we recognise, regret and rejoice in the unfolding images and experiences that aren’t so very different from our own.